It is a beautiful tooth with no restoration. 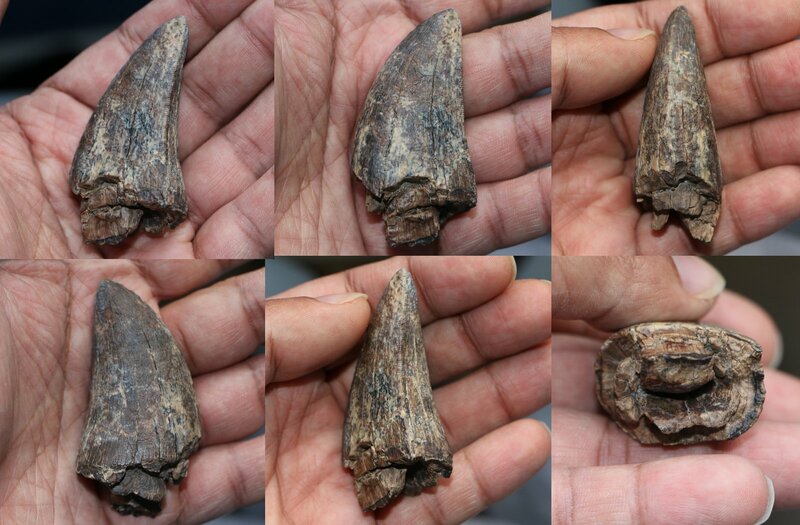 The tooth has the characteristic d shape profile of a trex tooth on the basal side and this sort of preservation is actually fairly common with tooth also collected from other locations such as Wyoming. The first ever dinosaur tooth that I owned!